Technology The Dentsply utility program allows the user to easily customize firing parameters, edit/delete saved programs, enter new programs, and print customized firing charts; all from the convenience of your PC. 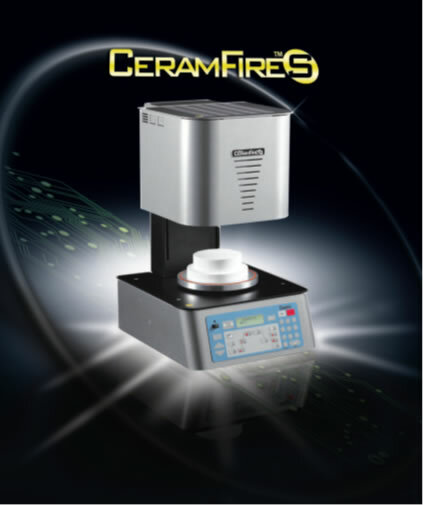 DENTSPLY Ceramco has combined input from the most trusted dental laboratories in the industry with the latest technology in natural feldspathic porcelain manufacturing and developed the new Ceramco®3 Porcelain System. This system provides for a customized firing process that reduces remakes and increases laboratory profitability and productivity. This porcelain system offers the esthetics, vitality and shades of Finesse® Porcelain with ease-of-use of traditional Ceramco Porcelains. The Ceramco®3 porcelain system is non-greening with out of the bottle shading. Other features of this system include organic pigments in the porcelains. The brilliant colorants assist in the build-up of restorations by reducing the training time and allowing technicians to clearly view the placement of each layer of porcelain. 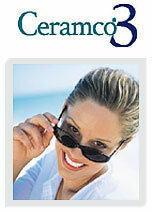 The Ceramco®3 Porcelain System also offers the 8 illuminé™ White Shades and a custom shade guide. Thus, matching ultra-white dentition has never been easier.